This is the second post in a series on Christianity as Anthropology. In this, I’m sketching out in quick narrative form a synthesis of many different ideas. See my references here. My previous post described how humans became evil. Now, I want to describe how this evil came to be focused on the destruction of ancient Israel. As I detailed in my previous post, as soon as human beings became truly aware of their own mortality, they were consumed by a deep and abiding fear. This fear allowed those with violent power to enslave thousands of people simultaneously - achieving a sort of control dramatically out of proportion to their actual strength. But being enslaved by violence creates the urge to possess that power yourself. And so the greater the oppression became, the more people came to long for violence, both hating and lusting after that which controlled them. This dynamic quickly spiralled into a world-wide worship of blood, with the warlords wielding this power of the gods, and all of society arranging itself around them. If violence was the power that could control fear, then violence would be the lord of this world, and everyone, from small to great, would struggle to be close to this god whose power could save them. But in a world that worshipped violence, society could erupt at any time. A small infraction could send an entire kingdom into civil war. And this is what happened - civilizations would rise and fall, leaving almost nothing but ash and blood. Until the warlords found a solution. If one person could be blamed for society’s conflict, then the entire people could unite against this victim, unleash their violence, and appease their anger. In doing so, they would restore harmony to the nation, strengthen their bonds by joining against a common enemy, and satisfy their thirst for blood. This is called the scapegoat mechanism. It worked beautifully. No longer would kingdoms have to fall beneath their own anger; instead, they could simply sacrifice their weakest members for the preservation of society. But crucial to this plan was that society truly believe their victims to be guilty, deserving of death. And so it became necessary for someone to advocate for these killings, to pick the victim and place the blame, to choose the most appropriate scapegoat for the group slaughter. This someone was called the priest. This someone would assure the mob that the one they killed deserved to die, that this death was what the gods wanted, and that with this killing, the wrath of the blood-gods was satisfied. This was how human civilization started, hand in hand with the religion of death. But when Israel began, something changed. Just like every other nation, they had their blood-god, who would lead them in battle, and allow them to exercise violence. Just like every other nation, this blood-god demanded a sacrifice. And so Abraham, father of the Jewish people, went out in the desert to sacrifice his son Isaac. He tied Isaac to the altar, pulled out his knife, and raised it to strike. And then God stopped his hand, and broke ranks with the blood-gods of the ancient world. Isaac became the father of the Jewish people, and Israel became what was possibly the first nation descended from someone under the knife. Other nations were founded by the ones who struck. Other nations were founded by the ones who chose the scapegoat and led it to slaughter. Israel became the nation founded by the scapegoat itself. This distinction grew over time. Gradually they came to see their God as being a lone voice of dissent in a world of human sacrifice. And as his people, they were a standing protest against that world. This wasn’t just a religious difference. Deep down, Israel knew that they were the ones every other god would have killed. Their very existence unmasked the system that ruled humanity. Because Israel had been under the knife, their survival exposed the scapegoat mechanism for what it was - the mass killing of the innocent. And because civilization depended on the scapegoat mechanism to survive, Israel and the ancient world were fundamentally opposed. 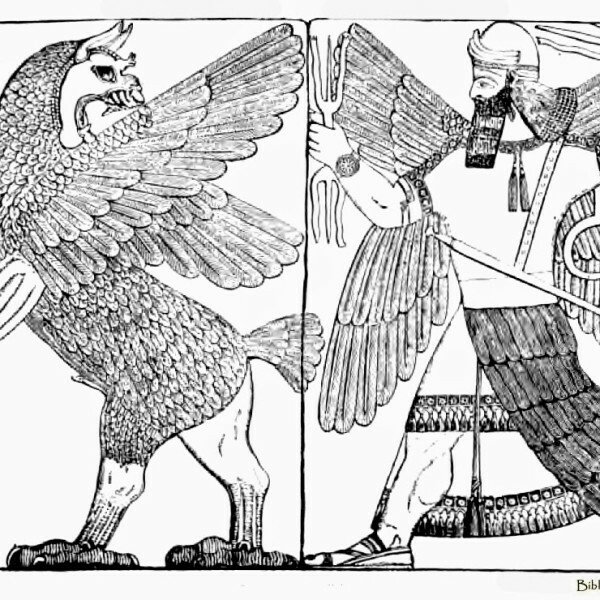 Thus the main subject of the Hebrew bible: Israel against the gods. Israel knew they had been marked. They were the scapegoats, the fitting victims. Their survival revealed the power-systems of the ancient world to be built on lies. And this meant that, like it or not, they were locked in a never-ending battle between them and the gods of blood. An interesting slant Micah. I won't argue that the scapegoat mechanism targeted the weakest members of a society, this is obvious in that it continues as government policy in many countries and people groups to this day, including in our own country (except here we are too "civilised" to just go out and directly kill the weak---here we do it by passing laws or by economic oppression: we kill them slowly ) However, does not your idea of Israel setting itself apart from the pagan countries break down a great deal since Israel was also an instrument of genocide when it conquered the "promised land" initially, as well as when it engaged in later wars under king David and others ? I know these were supposedly ordained by God to cleanse the land of influences that would corrupt Israel, but of course Israel continually went after false gods anyway. And at its most basic level, killing is no different regardless of who is wielding the sword, is it not ? We have sadly seen this proven in the massacre in Afghanistan just yesterday, carried out by one of the supposed "good guys ". But I did appreciate the idea of Issac's aborted sacrifice being a game-changing moment in ancient history. Just not sure if in the long run Israel actually learned the lesson being taught there, thus God had to send His son , the Christ, to be the ultimate and final "scapegoat" for all mankind. But most of mankind has not learned from this final example from God either, including most "christians" I would maintain. From my persepctive, there are no winners in any war, just some who lose more than others. Steve - one thing that I haven't stated explicitly until now is that Israel wasn't necessarily any *better* than anyone else. As Paul points out in the Letter to the Romans, Israel wasn't significant because they had achieved non-violence themselves, but because their identity worked to expose the violence of the world. This was essentially an identity thrust upon them - Abraham as outcast, Isaac as scapegoat, Moses as leader of slaves. In fact, this identity even exposed their *own* violence - which is why the Hebrew bible is so tense with internal conflict. This is Paul's meaning - the stories and Law of Israel had revealed the violence of the entire world, leaving no one unscathed. No, the killing the Israelites engaged in wasn't *better* than other people's killing. Instead, it served to reveal that everyone in the entire world was imprisoned by the power of death. Micah, I would certainly agree that "everyone in the entire world was imprisoned by the power of death", and that in fact most of them, including most professing Christians I think, are still imprisoned by the "fear " of death. I would concur with your implication that "The Law" and history of Israel revealed the violence of the entire world, including Israel's. And I would agree that most of the time Israel did not act any better than the pagans around them did. Is it not both ironic and tragic that the nation of Israel, which was used by God to reveal the fact that all men were "imprisoned by the power of death", were in the end the very instrument of violence that attempted to destroy the Christ, God's chosen means of saving mankind from the power of death ? Of course in doing so they confirmed the fact that they (most of them ) had not learned the very lesson they were chosen to deliver.